As one of the first tools to be released as part of the AthenaPlus creative tools for the re-use of digital cultural heritage content, MOVIO in an intuitive tool that allows you to create online digital exhibitions. Next to the development of these tools, the AthenaPlus’ WP5 is also in charge of providing training on the functionalities of the services. 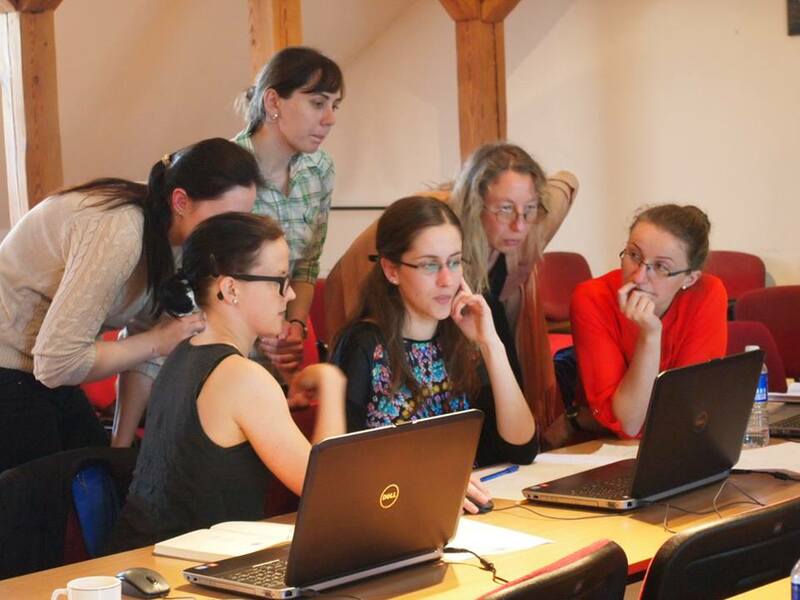 On May 22 2014, such training took place in Vilnius, Lithuania. This full-day training was hosted by LAM, the Lithuanian Art Museum, and was attended by about 12 staff members of both LAM and SAM, the Šiaulių „Aušros” Museum . After a brief introduction of the AthenaPlus project and the role of a tool like MOVIO in the project, a concise presentation of the concept ‘digital exhibition’ was given. The presentation highlighted among other things the debate between virtual and digital exhibitions, the conception of guidelines such as those issues by the INDICATE project and the advantages/characteristics of a digital exhibition over its physical counterpart. a simple overview of things to keep in mind before creating a digital exhibition using MOVIO. text and screenshots on how to work with the various MOVIO components. short tutorial videos that answer MOVIO-related Frequently Asked Questions. MOVIO example exhibition: digital exhibition created to illustrate the different MOVIO components. MOVIO installation instructions: fill the form to receive the installation code. During the training, all functionalities of MOVIO were explained by browsing simultaneously through the information in the manuals, and exploring the example exhibition. Once all features were clear to the participants, it was time to convert their initial ideas about an exhibition to the features of the MOVIO tool. In order to make full use of the tool’s potential, the two museums split up and first created a concept of their institution’s exhibition on paper. This is an essential part in the preparation of your digital exhibition as MOVIO offers in-depth website navigation possibilities through its inventive use of the so-called Ontology Builder. By mindmapping the exhibition concept on paper, discussing navigation with the trainer and matching this to the possibilities of MOVIO, the participants could get started in their own MOVIO installations. Both LAM and SAM will create a digital exhibition as part of the AthenaPlus pilots trajectory. 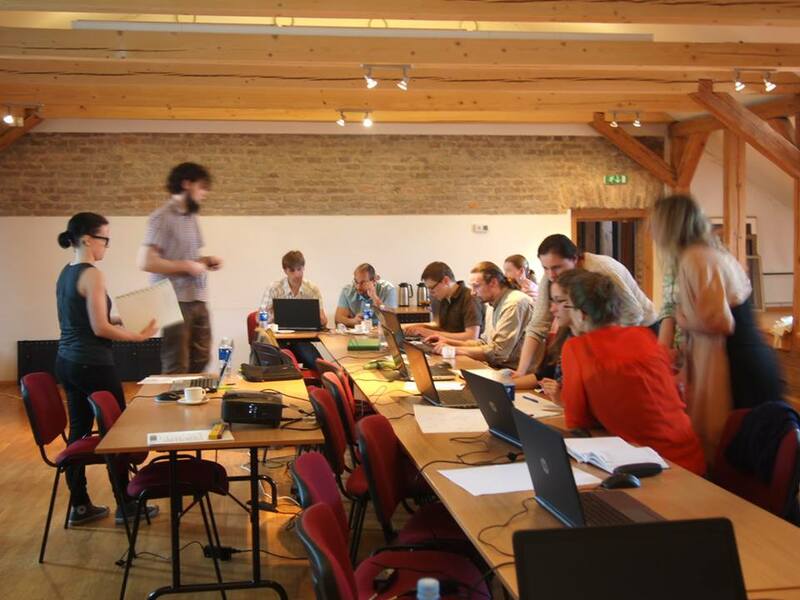 This means that they will collect feedback on various aspects of working with the creative tools; reporting bugs or technical improvements to the tool used (in this case MOVIO), conducting usability tests based on their completed exhibition, … During this first training, the participants could already start uploading some of their content and play around with the tool in order to solve questions in the trainer’s presence or make suggestions. The first exhibitions that will be created using MOVIO, will be ready in September 2014. Be sure to check them when they will be posted on this blog! Interested in hosting a training on MOVIO in your country? Get in touch with your national contact point or send an e-mail to barbara[at]packed.be.